Academic excellence permeates the St. Michael - St. Clement community. 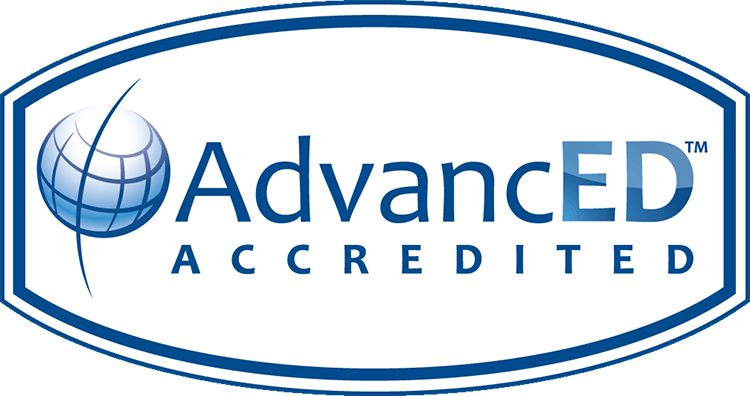 Our instructional program meets and exceeds the standards set by the AdvancED Accreditation Commission and Board of Trustees. 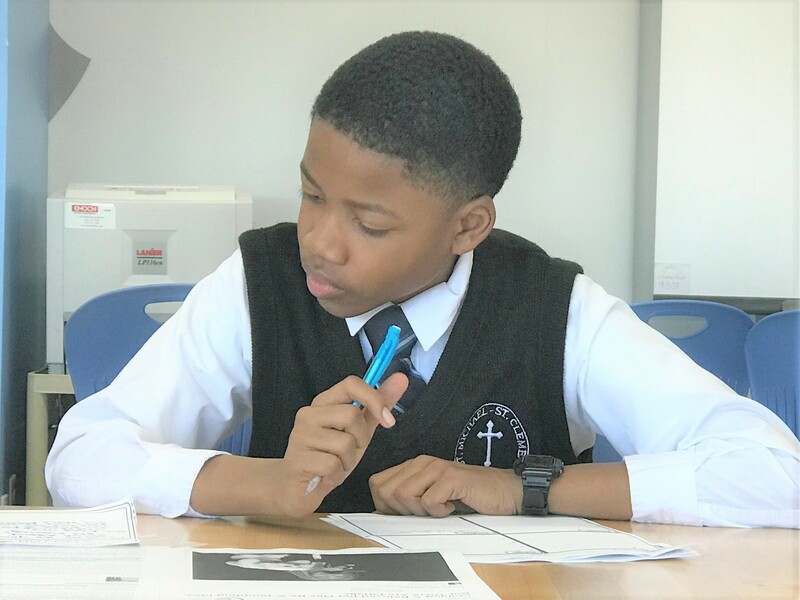 Faith is an integral aspect in every lesson taught throughout the school day, as to shape our students into moral, Christian leaders of tomorrow. 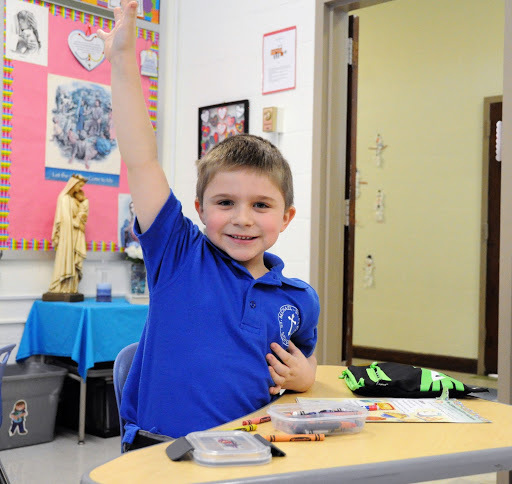 The curriculum at St. Michael - St. Clement Catholic School follows the curriculum outlined by the Archdiocese of Baltimore. Our program is designed to prepare graduates of St. Michael - St. Clement Catholic School to be Catholic, College, and Career Ready. To learn more please visit our curriculum page. For our students in PreK-3 and PreK-4, the curriculum uses organized and free-play activities that are intended to help our students interact, explore, and relate successfully to his or her environment. To learn more about our preschool please visit the early education curriculum page. In elementary school we use a variety of strategies and projects to help our students excel in language arts, math, science, and religion. To learn more about our elementary school please visit the elementary school curriculum page. 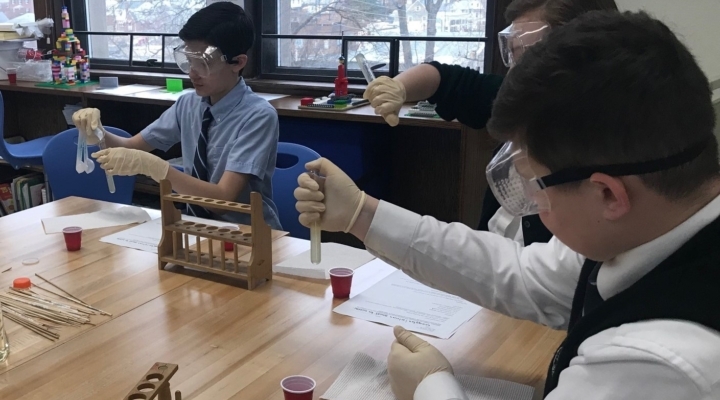 Students in 6th - 8th grade learn in a departmentalized setting taught by teachers who specialize in particular subject areas. This helps our students learn valuable skills such as time management, note-taking, and prepare them for High School and beyond. To learn more about our middle school please visit the Middle School Curriculum page. Students at St. Michael - St. Clement are challenged to grow academically, athletics, and spiritually. Graduates of St. Michael - St. Clement are prepared to meet the challenges of a 21st century world, and aspire to be leaders at home, in their communities, and globally. To learn more about our student performance please visit the student performance page. 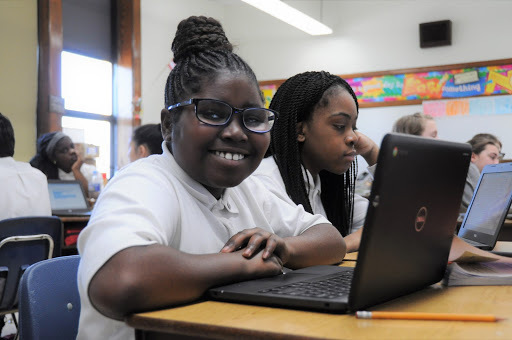 The technology used in the classroom at St. Michael - St. Clement School is designed to help prepare our students for college and career success. To learn more about how we use technology in the classroom please visit the technology page. St. Michael - St. Clement Catholic school is known in the area for our P.R.I.D.E. program. This innovative learning program is designed to meet the needs of students who learn differently. To learn about this special program please visit the Signature Program Page. There are various student services at the school to help students in need. To view a list of our student services please visit the student services page. St. Michael - St. Clement Catholic School offers a before & after school care program for enrolled students. To learn more about the program and the benefits of it, please visit the before & after school care page.